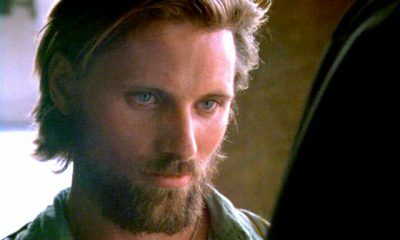 When Bessie Faro (Andie MacDowell) investigates the death of her husband Johnny (Viggo Mortensen) in a plane crash in Mexico, she finds that his business is in the red and that he had been stashing large sums of money in bank accounts all over the world. As she begins systematically recovering her husband’s money, she discovers that someone else has beaten her to some of the accounts. Aided by Fergus Lamb (Liam Neeson), who is somehow connected to Johnny, she goes to Cairo to find some answers. Note: Ruby Cairo was released in Europe (Region 2 DVD); Deception was released in the U.S. (Region 1 DVD). They are not identical. The more explicit love scenes between MacDowell and Mortensen were removed before the film was released in the U.S. as Deception, at MacDowell’s insistence. Deception is 21 minutes shorter than Ruby Cairo. Includes a trailer for Deception and a video clip from the introduction of Ruby Cairo, with photographs of Viggo Mortensen. If you visit the clip for the “Ruby Cairo Theme,” you’ll find a playlist with tracks from the entire soundtrack album. See this excellent review of John Barry’s original soundtrack for Ruby Cairo (Deception) at Soundtrack.net. The music is described as “a delightful mix of flamenco guitar and ‘classic’ Barry string work.” Additional soundtrack details and ordering information can be found at Soundtrack Collector. You can listen to a sample from the soundtrack in the video playlist above, or see all the tracks in the Ruby Cairo – Original Soundtrack Recording playlist on YouTube. Images © Miramax Films/Majestic Films Int.